I don’t write many opinionated posts, but I’m going to make an exception today. When I first started homeschooling Tigger, I tried just about every homeschooling method there is. During that time, I found some homeschooling methods that worked and some that didn’t. Today, I’m sharing my experience with the worst of them all. Now bear in mind, this is just my opinion. 🙂 I’m not a homeschooling expert, but from my own experience, this is the WORST homeschooling method for kids (and parents) with ADHD by far. By far. What horrible, awful, no good, very bad homeschooling method am I talking about? If you don’t know what school at home is, be glad. If you do, you likely agree with me. 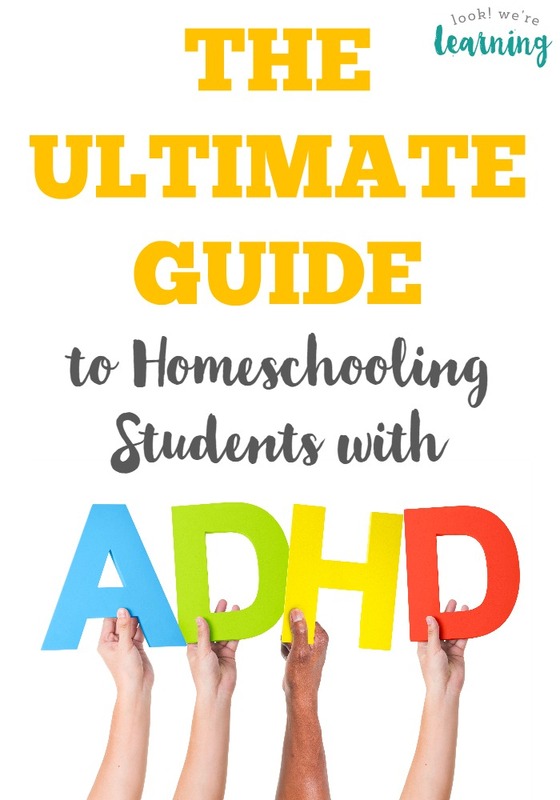 And if you’re considering homeschooling, allow me to explain why (in my experience) school at the home is the worst homeschooling method for kids with ADHD. School at home requires a strict daily schedule. The “school at home” homeschooling method is essentially when you use the curriculum and schedule of the public school system at home. When homeschoolers talk about school at home, they’re often describing a school-like setup, complete with desks, chairs, and chalkboard. Most often, school at home also follows the public school system schedule each day. Now we have a chalkboard, so I’m not anti-school entirely. 🙂 But the school at home schedule is very difficult to adjust for your kids with ADHD. The school day of the local public school system is typically too long for them to sustain their focus, and it can be too much for you to keep up with, especially if you have more than one child. I tried using a public school system schedule with Tigger once. We lasted for three days. She was burned out, I was burned out, and it took so much of my energy to keep her on task for the whole day that the other kids ended up just running around. Fail. School at home requires you to become a teacher, not a parent. The biggest reason why school at home is so terrible for ADHD kids, though, is that it forces you to step into the role of “teacher”. I’m a homeschooling mom, which means I teach, but I am primarily Mom. And when you’re raising kids who have ADHD, it is critical that you remain Mom. When I was trying to be The Teacher, I was focused on getting through the lesson plan, not helping my children learn. I found myself shouting at Tigger “Hurry up! We have to cover three more subjects today!” That’s pretty much the best way to ensure your child with ADHD does NOT complete her work. Public school teachers have an extremely difficult job. They are required to cover a certain amount of material that includes a certain amount of educational objectives for a number of children during the year. They are also required to test these children and help them reach certain test scores by the end of year, regardless of their learning challenges. Naturally, their system of education is going to be different than mine. My only responsibility is to help my kids learn how to learn. Complicating our learning goals with the additional responsibilities of a public school teacher did nothing but frustrate me and the kids. Now that we’re practicing a more relaxed way of homeschooling, they are truly learning, not just covering material and passing standardized tests. Have you ever tried School at Home? Did you have a similar experience when you used it? Does it work for your family? Feel free to share your thoughts in the comments! This post is part of our “31 Days of ADHD Homeschooling” series! 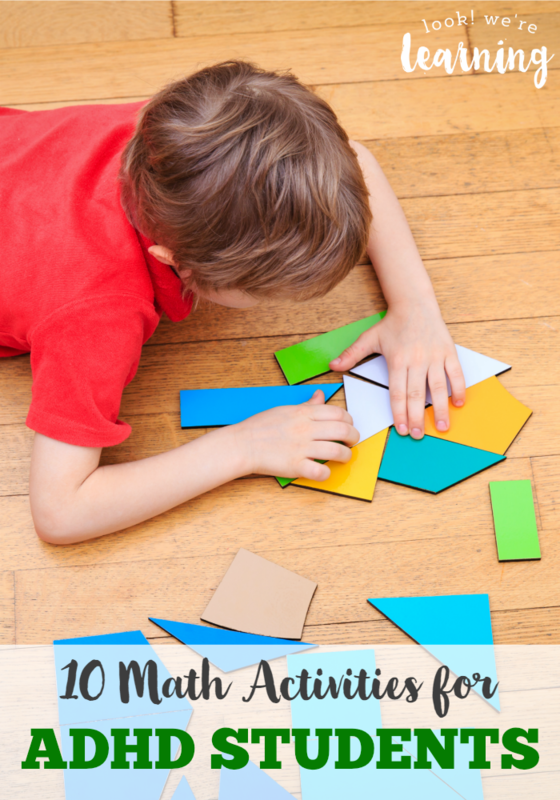 Stop by tomorrow for Day 11: Using the Charlotte Mason Method for ADHD Homeschooling! 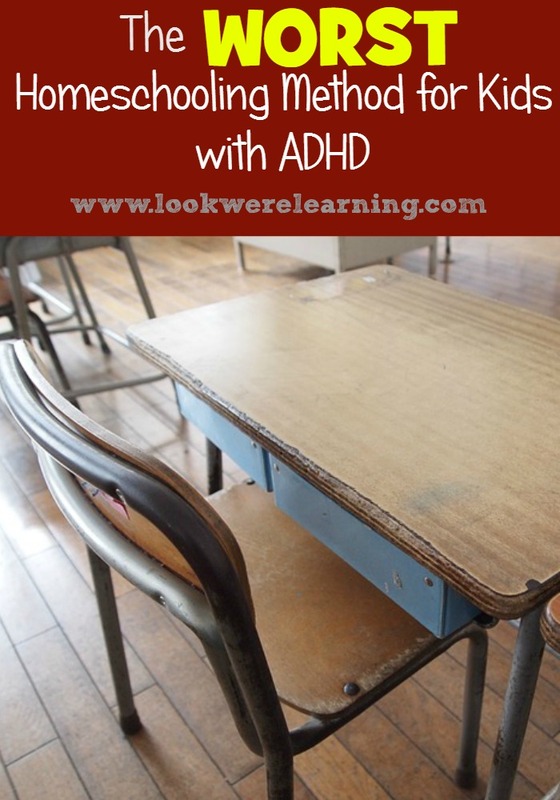 Don’t miss these other ADHD learning posts! And don’t forget to follow my ADHD Tips board on Pinterest for more suggestions! 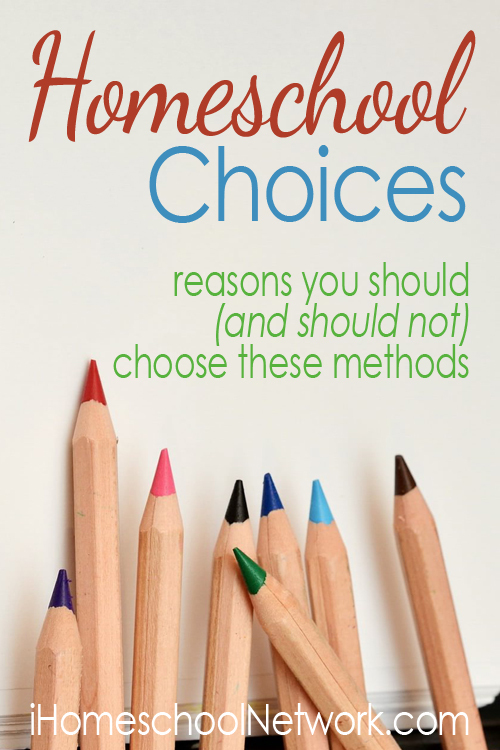 This post is part of the “Homeschool Choices” linkup from iHomeschool Network! Stop by to read my fellow bloggers tips for choosing your homeschooling approach! Oh my ‘school at home’. Well I do have a school at home setup. We use the Sue Patrick’s workbox system also. Even though each kid has a desk, their DVD players for some of their classes, and workbooks, we have a very different set up for school overall. In the morning they do their interactive computer work – wherever they want in the house. In the afternoon for their core subjects we hang out in the basement and they watch their class at their desk or on the couch (but it’s in the basement) so I can do chores, online work for my job and such while helping them along. I do make them ‘take notes’ to help them focus on the video or computer based curriculum/material. Then I sign off on their notes and work finished before they can put it in their workboxes. I found that even though my youngest son didn’t have ADD or ADHD, giving him earphones for certain classes – while letting him draw his class notes helped hime retain more information. He has a quick memory and gets most concepts quite easily, if he can process it in his own way. Oh yes! I had a son with A.D.H.D. and I used that “method.” Too bad my goal wasn’t to get him to hate learning, because that’s the only success I had. By the way, school at home is wrong for every homeschooler. So many of us start with “school at home”, because that’s the way we know how to learn. It takes lots of time to realize that it’s just not right for homeschoolers. My mom tried “school @ home” with me back in the 80s. What a disaster. We are both random and this was not a good fit. When she homeschooled my brother teen years later she knew about unschooling and he thrived! How do you legally unschool? I am liking the curriculum I’m using but it’s the”school at home” with a very set schedule which was a part is my problem with public school. I feel very rushed and disorganized. Any suggestions? It really depends on the state you live in. I’ve homeschooled in Mississippi, Alabama, and Oregon, which have much less stringent laws than states like Tennessee and New York. In Mississippi, I was required to go to the truant office, register as a home schooler and submit a proposed curriculum. Alabama required I belong to a group, called a “covering” that I submitted grades and attendance to. In Oregon, I just register with the school board and my kids take a standardized test every couple of years. These states have laws that allow us to be flexible within their parameters so my kids can learn what they need in the way that suits them. Loving your choice for the Nester series. I think this is what confuses so many of my friends about the way we homeschool. I’m a guide and a nurturer, the learning sorts itself out. This is my first year homeschooling my son who has ADHD. We initially tried what I thought was school at home, which resulted in him not retaining anything and me wondering if I made the right choice in homeschooling. Just the other day I decided to try thematic units and oh my goodness, what a difference. Its amazing how much better things are once I changed my idea of what school at home meant to us. Wow, wished I would have read this several weeks ago. I (OOPS!!!!!!) enrolled my daughter in online public school. With a rigorous curriculum. When she can’t even last half a day in a public school building without going bonkers and LITERALLY escaping the building….. Why did I do this? Fear and lack of self confidence. I have family members who have been pressuring me and reminding me over and over that I am not qualified to homeschool anyone or even keep myself on task… they insisted that I do online school because (GASP) how could I possibly know how to develop a curriculum?!!! (Note: have a relative who is a public school teacher). So, TODAY I ditch the online public school program. Same as what you all have been saying in this feed – frustrated kid, frustrated parent, no learning AT ALL. I’m starting a blog, too, dadgummit! Selena, your web site and your openness and thoughtful words have inspired me, given me the strength and let me know that I CAN do it, I DO have the skills and I DO know what is best for my kids as their mom. Now I can open the door to real learning! Thank you so much for your wisdom!!! Hi! Wow, I don’t even really know how to respond to this…lol. Thanks so much for your kind words. There are a lot of homeschooling mothers who don’t have ADHD but still feel unqualified to teach their kids. That’s natural. Almost none of us are certified teachers. But it doesn’t take that to educate our kids, since they do belong to us, kwim? My biggest issue right now is similar to yours: keeping myself on task long enough to help all of the kids complete their lessons. If we only had one or two kids, I might not be struggling as much as I am now. But we have four…lol. Ahhhhhh!!! I wish I would have found this sooooo much sooner. We did online public school this year as my son can’t concentrate at school and they advertise as working with your student, at their pace. Yeah, I have been ready to pull all of my hair out almost all year and now with only two weeks left I’ve hit my absolute limit but we are so far behind we have a TON of work to catch up. My son is not ADHD as we can’t get a full diagnosis from someone outside the home (even more frustration). But in the long run glad I did it at least because I am more able to advocate for my son when he re-enters public school next year. Hi! I’ve known some parents who’ve used online public school and they’ve said similar things about the workload and trying to keep their kids on schedule. I’m so sorry it’s been a struggle for you. Hopefully, you’ll find a learning method that works best for him and you. And I hope you can get a clear diagnosis soon! Hi! Thanks for visiting! Yes, school at home is pretty much the go-to method for most of us, since that’s what we consider “learning”. We love units here too! My son has aspergers and ADHD. He originally saw great success in public school and then declined to be way below grade level. We tried many methods to teach him in the home environment but discovered, after witnessing his success in martial arts, that he works best in a heavily structured environment. For him, school at home is absolutely the right choice. Several years have passed and he is now above grade level and his behavior in all situations is much improved. School at home is not the choice of people who don’t know better, it is one of the many options open to open-minded homeschool parents. The beauty of the education choice we have all made for our children is that we can make certain that they are truly learning and growing as young people. Hi! I can certainly respect your choice. You made it based on what’s best for your child and that is the essence of homeschooling. I know a lot of new homeschoolers who feel that they HAVE to do school at home, in order to be “real” teachers. And that’s definitely the worst way to go about it, because it leads to burnout. But when we make our decisions based on what we see is best for our kids, we’re sure to succeed. We school at home, or at least that’s what I call it. And I have a very high symptom ADHD child. We take a lot of breaks. I don’t make her sit for long periods of time. She exercises every 30 minutes after working, draws while I read, and we have completed 7 years. You just find what works. But I have no issue schooling at home, our way, our day, not competing with anyone else, and still schooling…learning…thriving…at home. Hi! When I’ve heard other parents speak of school at home, they’re often describing the school approach – right down to the schedule. I love the fact that you allow for exercise breaks and activity while you read. They’d never get that kind of accommodation at school (at least not in this district). So based on what you’re describing, I wouldn’t call that “school at home”. But if you do and it works for you and your family, that’s awesome! 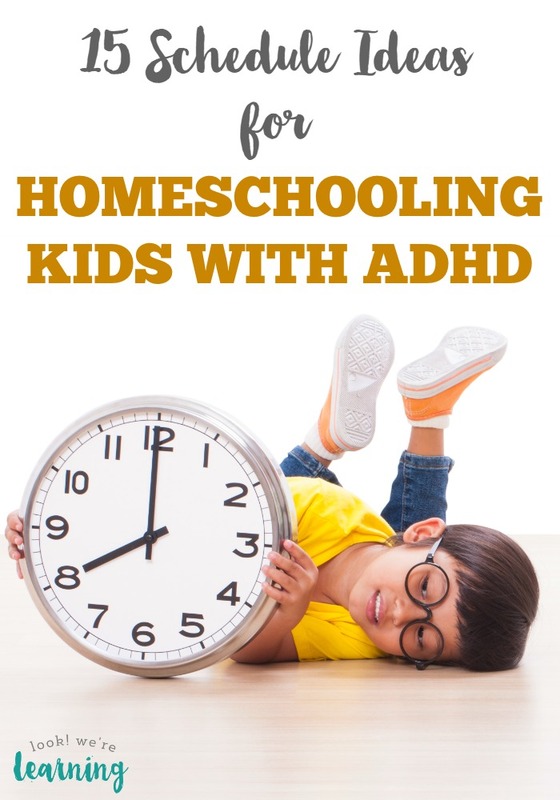 Glad to hear that you’re making a success of ADHD homeschooling! I have a 7 year old with Autism and ADHD. I’ve never tried to keep up the public school hours. I knew instinctively that he couldn’t do that, but I did try lots of games and play-based learning. Strangely enough, my LO would ask for “worksheets instead, please, mom.” To this day I try play and game-based learning but he prefers worksheets. Possibly because he knows starts/stop times and with games it’s not as clear. Oh, well. For my soon-to-be four-year-old, I use Starfall on the tablet. She plays with it for an hour while I work on the most important subjects with the older kids. She’s picked up letters, numbers, letter sounds, basic shapes, and more just from that app. We tried school-at-home when my ADHD 3rd grader was campaigning to be allowed to go to a local private school with her friend. I was certain that it would be a horrible fit, and I thought mimicking the environment at home would demonstrate to my daughter just how right I was. In other words, it was *better* for her ADHD traits than my usual system of everyone at the dining room table, do this list of tasks however you want, choose your own schedule sort of system. That level of independent work and background noise works fine for my non-ADHD kids, but this one just can’t hack it. She *needs* the structured environment. Hi! I just wanted to thank you for your post I’ve only got to read this one but I’m going to keep going through them because I’m trying to convince myself that I can handle homeschooling my son with undiagnosed A.D.H.D the school “suggested” he’s A.D.H.D I think he is but the Dr will not even discuss it with me because he’s not “failing” like ok really? Anyways I think I would be able to help him learn more since I can help him 1 on 1. I’m so afraid of failing him though and he would have to go back to public school and then redo 2nd grade or something. I know if he was to have to go back to school after trying homeschool them he would have to test to see what his grade level would be. My middle child wants to homeschool to she wants to use a online program I think it would work great for her though because she’s very smart and a very hard worker but I know it won’t work for him. I feel like he missed a lot this year because he just couldn’t focus. I got a note every day from the teacher that he just can not focus 😞 talk about crushing your heart daily! I do not think the school at home would work for him. As far as I know from reading the TEA website Texas does not have homeschool laws so basically I can do it my way. There is a list of what he is supposed to learn during 2nd grade. Would it be best to just cover the list at our pace? Any tips and advice are greatly appreciated! I’m terrified and excited all in one! Hi Tiffany! It’s great to hear from you! I was in a similar situation with our pediatrician (who I love, by the way). Unless our kids were having trouble in school, then he didn’t want to diagnose them as ADHD or prescribe medicine. I can understand that and I’m glad he’s not a pill pusher, but I would have liked to know for certain earlier. Anyway, once our oldest was diagnosed, we still decided not to medicate and (so far) we still don’t. So it can be done! You can absolutely do it your own way in Texas. TX is very generous with its latitude for homeschooling parents. We’re in GA and we basically use the list of objectives as our basis and work on skills in that order. It’s worked out fine for us so far! By the way, my soon-to-be seventh grader is about to use a more structured online program and I’ll let you know how that goes. 🙂 If you want more support, feel free to join our ADHD Homeschooling Facebook group!